How can an identity catalyze a city’s contemporary art scene? 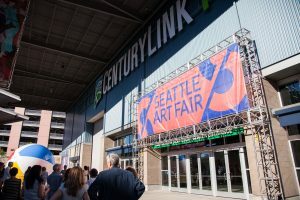 Founded in 2015 by Paul G. Allen, Seattle Art Fair is a public-facing art fair and showcase. Our dynamic, scalable identity uses a distinctive, bifurcated ‘S’ monogram to reach art world insiders and a general audience alike.